Please find below the HVC Schedule of Field Trials for the 2018/19 season, together with the HVC Standing Instructions for Field Trials, and an entry form. I am delighted to advise that today I received a letter from the KC that the HVC has been awarded permission to host Open Field Trials. What fabulous news for the Club and such a massive milestone after being one of the pioneering clubs establishing HPR trialling in the 1970s. Through this medium and others I wish to convey my sincere thanks, and those of the Club, to those people and clubs who responded in a timely and kindly way to our request for written support for our application. You made a significant and decisive contribution to the grant of permission. Thanks also go to those friends and colleagues in the shooting and HPR trialling community who canvassed on our behalf with their friends and colleagues and offered so much encouragement along the way. I would also like to thank the Kennel Club and their relevant committees and sub-committees, and to the key individuals in the Working Dogs Activities Department which gave advice and encouragement along the way. The process, which seemed daunting at times, was eased along by very kindly and knowledgeable people. If the KC can say “immense”, I can say in return “impeccable”. Open field trial status for the HVC has been a long time coming, and now it is a reality. 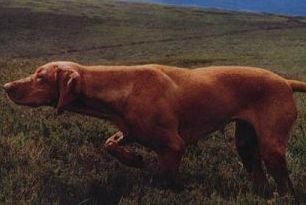 The club, an early pioneer of HPR trialling, has finally arrived at the upper echelon of HPR trialling clubs and this can only help to further enhance the status of the Vizsla as a working HPR, and encourage newcomers into the field. I can’t tell you how thrilled I am at this news. 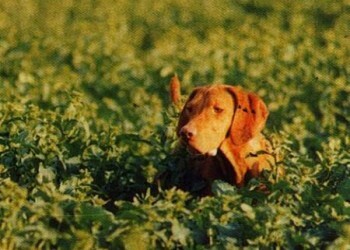 Several Hungarian Vizsla enthusiasts compete in the disciplined world of HPR Field Trials. 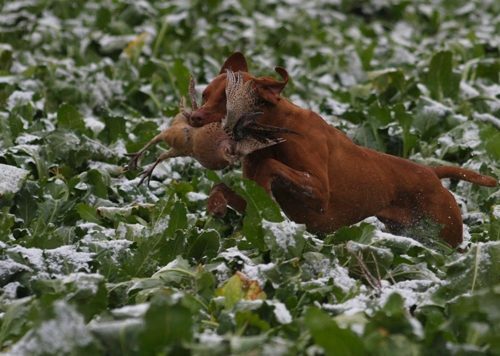 Field Trials are very different from Working Tests for the competitor and dog and are not for the faint hearted. This is the ‘serious’ side of working competition where both handler and dog are expected to have reached a certain standard before ever venturing on their first field trial together. Experience (and a good knowledgeable trainer) is essential as Field Trials involve real game and real guns. If wishing to enter a field trial it is very important to read the Rules and Regulations of the promoting society and also the Rules and Regulations governing Field Trials as set down by The Kennel Club. If you get a run and are unable to take part, it is only courteous to let the Field Trial Secretary know so that she/he can inform reserves. Remember, many people give up a days work to participate, and it is only fair to let them know as soon as possible. Field Trials have to be run during the season and most are held from September to January. They are Kennel Club licensed events usually run by one of the HPR breed clubs. A Field Trial consists of a maximum of 12 dogs (usually drawn from those entered a week beforehand) who are tested in real hunting competition running under 2 judges. Open: Open to all dogs (preference in the ballot may be given to dogs which have won previous Field Trial awards as this is a qualifier for a Field Trial title). Each dog is called up in turn to run under the judges (the rest of the dogs and handlers follow behind at a safe/discrete distance as ‘the gallery’). The handler is given an area of fresh ground and told the boundaries the judges expect the handler to keep the dog within. After that, the handler takes the dog off-lead, puts the lead away and is not allowed to touch the dog again from that point onwards. The handler is expected to assess the wind conditions and send the dog off to hunt and quarter the ground making the best use of prevailing wind conditions and cover all of the ground allocated. The aim of the exercise is for the dog to locate game, point the game, and remain steady on point. The handler then indicates to the judges that the dog has found game and calls up the guns (usually 2-3). When the judge gives the word, the handler sends the dog in to flush the game. As the bird rises to the air the dog must sit or lie down immediately. The guns shoot the bird (hopefully) and, when instructed by the judge, the handler sends his dog in to retrieve the bird back to his handler. The bird is handed to the judge and checked to ensure it has not been damaged by the dog (ie. ribs crushed etc – known as the ‘hard mouth’). Providing all has been done satisfactorily, the handler will be instructed to continue hunting until the end of the allocated ground. Typically each dog will run a minimum of 2 times (unless eliminated) but can be expected to run 4-5 times before awards are given. 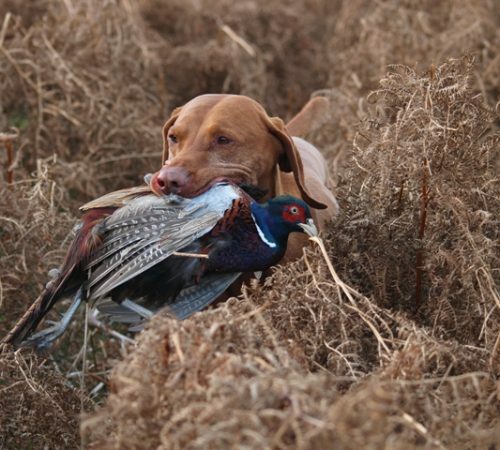 Points are gained for each stage of the hunt-point-retrieve exercise, style when hunting, co-operation with handler with dogs having to complete the full hunt-point-retrieve cycle to stand any chance of an award. The higher the points, the higher the award. Field Trials are all about avoiding eliminating faults – one mistake and you and your dog are eliminated and no longer run. That means you might travel 300 miles to a Field Trial to be eliminated in the first 2 minutes of your first run and spend the rest of the day as an observer. If you survive through all this, find game and get enough points, then you might get an award. Field Trial awards are not given lightly and the competition, especially in Open, is intense. Ultimately if you gain two 1st place awards in an Open Field Trial you become a Field Trial Champion (FT Ch). This is the ultimate goal that all competitors strive for.